Synchronised grazing in a field at Kilchoman, you can spot the cross from the military cemetery on the right. 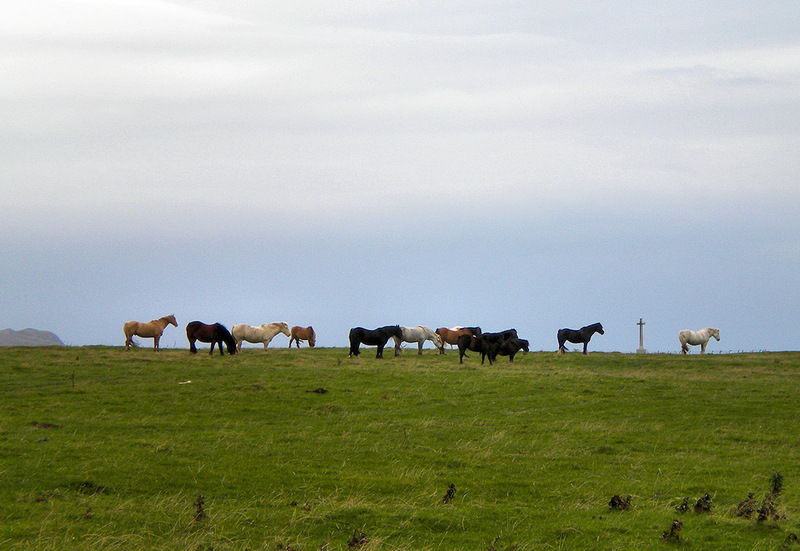 The horses belong to Rockside Farm, less than a mile away behind us. This entry was posted in Cloudy Weather, Landscape, Repost and tagged horse, Islay, Kilchoman, Rhinns of Islay, Rockside Farm by Armin Grewe. Bookmark the permalink.